The university of Applied Sciences at Brandenburg Germany posted an example they have done. Its a mashup example which gathers online earthquake data from around the world. It then correlates with online weather data from the location of the earthquakes. If it was a major earthquake an alert email is send to personel. The example also exposes restful services listing the earthquakes containing links for more details. You can read about the example here. And they provide source code in their git repo. You can read more about the schedule and register at the FuseSource website. The webinar is free, all you have to do is to register. Adrian is a solution architect for many years, who have traveld the world, and seen it all at various clients. So he has actually done the stuff he talks about in the real life. So he knows the pains and the gains. As part of my interrest with integration and Apache Camel, and yes my employment, I keep an eye on Camel alternatives, once in a while. Recently my twitter search revealed this tweet. Which takes you to a SI Example. Do yourself the favor and check out this example, and return back to this blog post. Maybe, like me, you started at the sea of XML to try to figure out what the example is trying to tell you? Only by click on the provided diagram to see the larger image, and stare back at the XML for some time you may be able to understand a bit what is happening. Now imagine if there was no image at all, would you be able to understand the integration flow in the example? If you have Camel experience, wouldn't you think the example could be much simpler and easier to understand, by using Camel? In fact I would say that the Camel DSL would make it out for that image. The Camel DSL would be simple and intuitiv to understand the message flow. It would be something like this in Camel DSL. Let's pick the XML variation as well. Maybe the code comments in the XML is not needed? Can you understand the Camel XML route without the code comments? If so its only 10 lines of XML to define the integration flow. 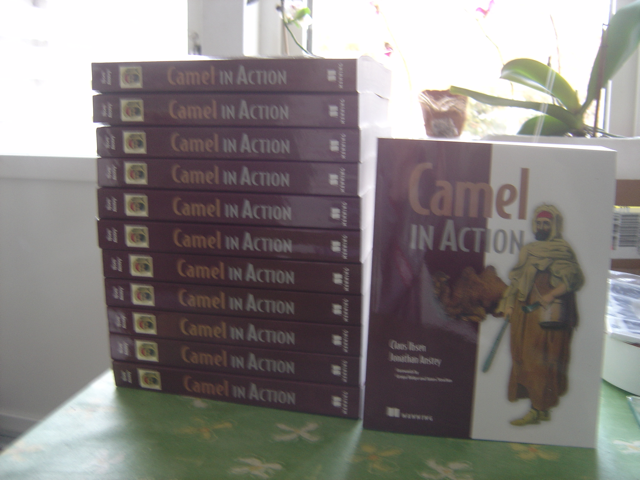 This is just a short blog entry as a reminder for myself that the Camel in Action print books arrived at my doorstep on January 4th 2011. The books actually came on December 28th 2010, but I wasn't home. The task is done and the book can be closed. I am ready for new adventures. Last year I did this blog post about numbers for 2009, so I thought I should do it again this year. Just to do a quick post on some of the numbers for the Apache Camel project in year 2010. 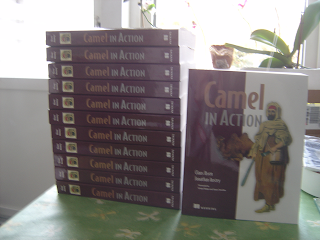 Number of releases in 2010: Camel 1.x = 2 releases. Camel 2.x = 4 releases. Number of commits in 2010: 3936 (commit mails send to public forum). Number of tickets created in 2010: 1148 (where as 120 are still unresolved). 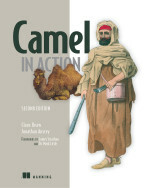 2011 is going to be a busy year as well, as we will start working on Camel 3.0, soon after we get Camel 2.6 released.